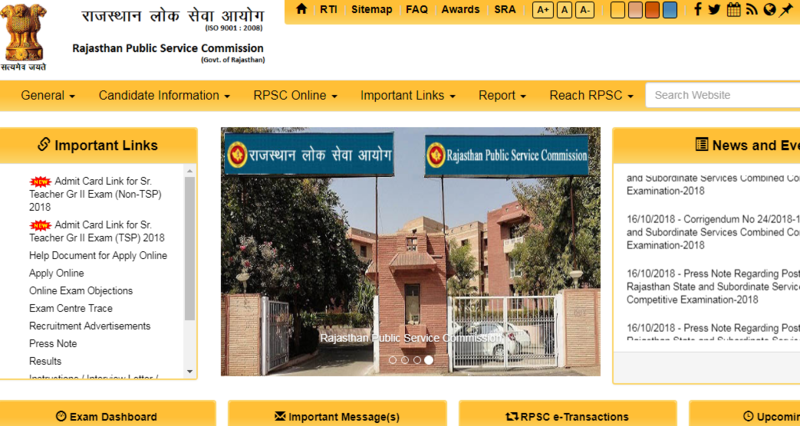 RPSC Official Website: SI Admit Card, Old Paper, Result Web Portal – As a part of the latest news and top stories, RPSC Senior Teacher Grade II 2018 Admit Cards have been released by Rajasthan Public Service Commission for the examinations that are going to start from tomorrow. Direct Link to Download Admit Card for Sr. Teacher Gr II Comp. 2018 (Sec. Edu. Dept) (Non-TSP) and Sr. Teacher Gr II Comp.2018 (Sec. Edu. Dept) (TSP) is different. 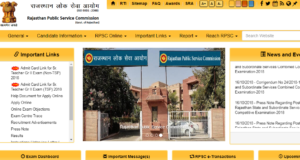 Official Website of Rajasthan Public Service Commission is one and only www.rpsc.rajasthan.gov.in. For TSP region, the examination will be held for the subjects – Hindi, Mathematics, Urdu, Sanskrit, English, Social Science and Science. And for Non-TSP region, the subject for which written test be held are – Punjabi, Hindi, Mathematics, Urdu, Sanskrit, English, Social Science, Sindhi and Science. Keeping important dates and schedule in mind for Non TSP region, commencement of online registration of application is 10 May 2018, closure of registration of application is 20 June 2018, last date for printing your application is 31st December 2018, Closure for Online fee payment on 20 June 2018 and closure for fee payment at Kiosk being 20 June 2018. In both the cases, to download the Admit Cards from the official website of RPSC full form Rajasthan Public service commission, Login will be required. RPSC RAS Permission Letter 2018 Out & Here’s What’s Wrong With It!